The British capital is one of the most populated and fast-growing cities in Europe, and this comes at a price. In the last few years, London is amongst the top 10 cities when it comes to congestion. 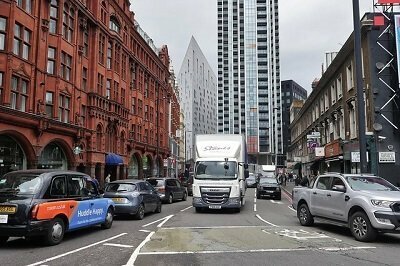 If you have decided to relocate to England’s capital and plan a London house removal, there is a lot you need to learn about the traffic organisation. In order for you to properly plan and execute a less stressful moving to London, you have to get to know the specific traffic rules and penalties. After all, you can’t carry all of your belonging by hand, you will need to hire some sort of transportation. There are some general rules and terms that you need to familiarise yourself with before packing and leaving for the big city. The traffic on the London streets is managed by thirty-four different highway authorities that take responsibility for different parts of the city. You need to check which authorities are responsible at your local council. The dreaded PCN – This is something at the sight of which even the locals gasp in despair. The Penalty Charge Notice (PCN) is a legal notice that is sent to you to inform you of a penalty charge that has been issued. It contains the type of traffic violation, place, date and time, details about your or any other participated vehicle, as well as the amount due. You will have 28 days after you receive a PCN to take action, either pay the amount or challenge it by making a written or online representation. We advise you to hurry up and pay within the first 14 days because the amount of the penalty will be reduced by fifty per cent. In order to keep London green and reduce the carbon emissions, the city council has created different charges depending on which zone of the city you are. This is also something that you need to be aware of prior to your house moving. A good example is the Low Emission Zone (LEZ) charge. 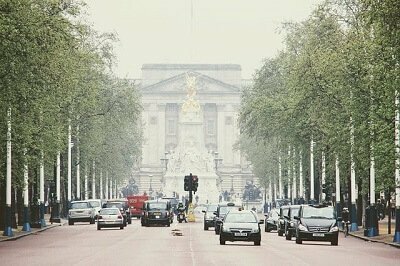 It is applicable to the area of Greater London and its main goal is to reduce the air pollution in the central part of the capital. Another important tax that you might need to pay is the Congestion Charge. Essentially a certain amount must be paid in order to drive through different parts of the city between 07:00 and 18:00, from Monday to Friday. Bus stops and bus lanes — You are not allowed to park on a bus stop or drive in the bus lane. Altho it is a great thing to have a bus stop near your future home, this could be a serious problem when it comes to a home relocation. Clearways — Avoid parking, loading or unloading there at all costs. The penalties are quite severe. Controlled Parking Zones (CPZ) — As you can guess by the there name, these are zones parking is strictly controlled. Near them, there should be a road sign with a timetable containing the time periods during which stopping is allowed. Dropped kerbs — Another thing you should avoid during your home move. They are constructed to assist pedestrians when crossing a street, to allow vehicles to join the traffic, and to ease the moving of heavy-wheeled containers. Loading bays — Usually build in the back alleys these are the places for loading and unloading cargo. You are cannot use these spaces for parking. Parking bays — Depending on which part of the city they are located, some can be used as a loading bay. To make sure you need to check the nearby road signs.